Clogged arteries are a serious concern as plaque buildup can lead to life-threatening conditions such as heart disease, stroke, or a heart attack. These blockages are often the result of poor diet choices; therefore, it’s important to know how to clean your arteries naturally with healthy food and other beneficial lifestyle choices. More severe cases may require medication or even surgical procedures. A clogged artery develops over time as fat, cholesterol, calcium, and cellular waste collect and build up as plaque along the walls. This can interfere with the free flow of oxygenated blood throughout your body. At the same time, the immune system responds by releasing white blood cells to fight the problem, resulting in inflammation. This action can exacerbate the blockage. We will discuss how to unclog arteries, and possibly prevent clogs from forming, by following a healthy diet of soluble fiber, antioxidants, and healthy fats, as well as maintaining a healthy lifestyle with exercise. Want to know how to clean your arteries naturally? Use ginger! Ginger has incredible anti-inflammatory and anti-oxidative effects. Ginger contains heart-protective compounds like shogaols and gingerols, which can effectively prevent plaque buildup and unclog arteries by reducing total cholesterol. According to a study published in the Journal of Nutrition in 2000, researchers found that ginger extract could reduce aortic atherosclerotic lesion areas, cholesterol and triglycerides in the blood, LDL-linked fat peroxides, and LDL aggregation. Flaxseed is another important food for heart health. Ground flaxseed can help unclog arteries with high fiber. It is also a good source of alpha-linolenic acid, an omega-3 acid that can lower inflammation and blood pressure. In turn, arteries will not become clogged. In a 1997 study published in the journal Atherosclerosis, researchers found that flaxseed lowered the development of aortic atherosclerosis by 46% in rabbits. With its high content of L-citrulline, an amino acid that reduces inflammation while lowering blood pressure, watermelon may be effective for treating clogged arteries. The fruit also has the ability to stimulate nitric oxide production to expand and clear arteries. You could potentially prevent clogged arteries by incorporating one cup of watermelon, or one glass of watermelon juice, into your daily diet. Whole grains such as pastas, breads, brown rice, barley, oatmeal, and quinoa may help dissolve blocking matter in the arteries and keep the passageways clear. The high soluble fiber content may lower cholesterol by removing excess amounts of harmful low-density lipoprotein, LDL, cholesterol from the blood. The magnesium found in whole grains works to expand narrowed blood vessels. To help promote proper functioning of the arteries, consume six servings of whole grains each day. Known as blue-green algae, spirulina is a complete protein abundant in essential amino acids and also works to regulate serum lipid levels. It has alpha-linolenic acid, which research suggests can reduce inflammation and open the arterial walls. You can add the cytobacteria to many recipes in powder form or take a daily spirulina supplement. Spinach contains natural fiber, potassium, and folate, which all work to prevent blockages within the arteries as well as lower blood pressure. This dark leafy vegetable protects against cardiovascular disease by reducing levels of homocysteine, an amino acid that is thought to lead to strokes and heart attacks in elevated levels. Whether the spinach is cooked or raw, one daily serving is recommended to clean arteries naturally. The persimmon fruit has antioxidants and polyphenols that could lower the harmful levels of LDLs and triglycerides that lead to high blood pressure. It regulates levels through the high-fiber content, which, in turn, can help keep arteries clean and prevent them from being clogged. Persimmons can be consumed raw, cooked, or as a dried fruit. Orange juice made from pure oranges, with no added sugar, is packed with the antioxidant vitamin C, which helps reduce oxidation of the blood. This action keeps the arteries free from blockage. Daily consumption of two cups of orange juice has been shown in studies to lower inflammation in the arteries and regulate blood pressure. Known for its ability to protect against cardiovascular diseases, olive oil has a high content of antioxidants. The polyphenols and healthy fats in the oil work to lower cholesterol and oxidative stress in the bloodstream. Olive oil has been proven in clinical studies to lower the risk of clogged arteries and other cardiovascular issues by 41%. This is attributed to a reduction in the LDL levels and boost in the high-density lipoprotein (HDL) levels to eliminate plaque buildup. Raw nuts, particularly almonds and walnuts, offer fiber, vitamins, protein, polyunsaturated and monounsaturated fats, and magnesium to help reduce inflammation and blood pressure. Nuts could help clear arteries and prevent blockage when one serving is consumed daily. Used as an antioxidant, green tea contains the flavanoid catechin, which studies suggest lowers cholesterol absorption to prevent clogged arteries. The compound also boosts the metabolism rate, which can help with weight issues that can lead to cardiovascular problems such as blockage. This risk may be lowered with a daily consumption of two to three cups of green tea. Cold-water fish such as salmon, tuna, sardines, and mackerel are enriched with healthy omega-3 fatty acids that protect the cardiovascular system. These fish, especially salmon, lower triglyceride levels while boosting high-density lipoproteins. It is recommended to have two servings of fish per week to help reduce inflammation, remove plaque, and clear blood clots from the arteries. Cranberries have antioxidants that could help regulate high blood pressure, which often causes arteries to clog. By increasing the beneficial HDL cholesterol and lowering the harmful LDL cholesterol, this may help to lower the risk for cardiovascular issues by nearly 40%. Two daily servings of pure cranberry juice are recommended for optimal results. Recent studies have found that drinking eight to 16 ounces of coffee each day may lower the risk of cardiovascular disease and stroke by between 10% and 20%. These studies also warn that excess intake can raise blood pressure levels. Research into the reasoning, or bioactive components, behind the reduction is ongoing. Read food and drink labels to help you choose healthier options. Certain ingredients can induce inflammation and increase blood pressure, which can lead to clogged arteries. Use unsaturated fats instead of trans fats and saturated fats. Avoid products with hydrogenated oils and fats such as red meat, full-fat cheeses, butters, margarines, and dairy products. Choose healthy cooking oils such as sesame, olive, canola, and peanut oils. Coconut and palm oils may be used but only in limited quantities as they have a high calorie content. Consume omega-3 fats twice each week. These include tuna, salmon, trout, flaxseeds, chia seeds, walnuts, legumes, avocados, leafy green vegetables, tofu, and soy products. Switch to whole grains such as brown rice, whole wheat pasta, and nine-grain breads while avoiding products made with white flour. Eat at least three servings daily. Boost your fiber intake with vegetables, fruit, nuts, oats, barley, and legumes. Women are to consume 21 to 25 grams (g) daily, while men require 30 to 38 g each day. Avoid sweet treats, including sugary beverages. Limit your sodium intake to 2,300 milligrams (mg) each day, with high blood pressure patients limiting sodium intake to 1,500 mg daily. Quit smoking as tobacco products contain chemicals that can damage the blood vessel walls and blood cells. This can lead to plaque buildup and clogged arteries. It is important to get help to stop smoking, if needed. Regular exercise works towards preventing clogged arteries in several ways. Work your way up to physical activity of 30-minute routines, five times each week. Promote the loss of excess weight that may be causing high blood pressure and cholesterol, which leads to plaque buildup. Stress hormones may cause inflammation within the body, including the arteries. Practice meditation to produce a calming effect on the mind. Perform low-impact physical activities such as yoga to possibly alleviate stressful thoughts. Some studies indicate that alcohol may have a protective effect against heart disease in some people. However, excessive use can cause a spike in blood pressure and damage heart muscles, leading to clogged arteries. Limit your alcohol intake to one daily drink for women and two for males. Safe limits include 12 ounces of beer, 5 ounces of wine, and 1.5 ounces of spirits. There is an increased risk of peripheral artery disease among type 2 diabetes patients. This may lead to clogged arteries in the abdomen, neck, arms, legs, and feet. See your doctor regularly for periodic check-ups to monitor overall health. It is important to closely monitor your blood pressure, triglyceride, and cholesterol levels. Again, exercise is considered just as important as dieting for unclogging arteries. Exercises that reduce stress are important, including meditation, yoga, tai chi, and qigong. Aerobic exercises, gardening, walking, or running can also help combat atherosclerosis. Carotid arteries: When you have clogged arteries in your brain, it is a condition called carotid artery disease. Plaque will block or narrow the carotid arteries, and signs of a stroke may be present. Symptoms include breathing problems, sudden weakness, confusion, severe headaches, loss of consciousness, blurry vision, trouble with speech, paralysis, trouble walking, dizziness, unexplained falls, and loss of coordination or balance. Coronary arteries: When the arteries in the heart are clogged, it is called coronary heart disease, or CHD. In this case, plaque will block or narrow the coronary arteries when the heart muscle fails to get enough blood. As a result, chest pain, known as angina, will occur. It feels like pressure is squeezing your chest, but you may also feel it in your jaw, neck, arms, shoulders, or back. Angina also sometimes feels like indigestion. Emotional stress will also often trigger angina. Other CHD symptoms include heartbeat problems and shortness of breath. Topham Wood, H., “How to Naturally Clean Plaque From the Arteries,” Livestrong, August 14, 2017; https://www.livestrong.com/article/109842-naturally-clean-plaque-arteries/, last accessed February 7, 2018. “Is It Possible to Unclog Your Arteries?” Healthline; https://www.healthline.com/health/heart-disease/how-to-unclog-arteries, last accessed February 7, 2018. “21 Foods That Naturally Unclog Arteries,” Natural Living Ideas, September 1, 2014; http://www.naturallivingideas.com/21-foods-that-naturally-unclog-arteries/, last accessed February 7, 2018. Sruthika, “10 Best Superfoods to Cleanse your Arteries,” DIY Remedies, January 18, 2017; https://diyremedies.org/cleanse-your-arteries/, last accessed February 7, 2018. “20 Foods That Will Clean Your Arteries Naturally And Protect You From Heart Attacks,” Organic and Healthy; http://www.organicandhealthy.org/2016/11/20-foods-that-will-clean-your-arteries.html, last accessed February 7, 2018. “Eat These 10 Foods to Cleanse Your Arteries,” Fisher Titus, April 26, 2016; https://www.fishertitus.org/health/foods-to-cleanse-your-arteries, last accessed February 7, 2018. “Alcohol and heart disease,” Drink Aware; https://www.drinkaware.co.uk/alcohol-facts/health-effects-of-alcohol/diseases/alcohol-and-heart-disease/, last accessed February 9, 2018. “Peripheral Artery Disease & Diabetes,” American Heart Association; http://www.heart.org/HEARTORG/Conditions/More/Diabetes/WhyDiabetesMatters/Peripheral-Artery-Disease-Diabetes_UCM_313866_Article.jsp#.Wn26UqinHIU, last accessed February 9, 2018. 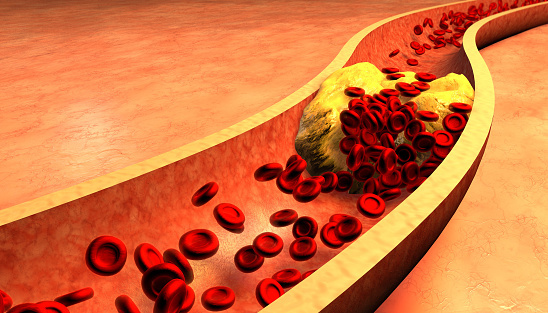 “Clogged Arteries (Arterial Plaque),” WebMD web site; http://www.webmd.com/heart-disease/clogged-arteries-arterial-plaque, last accessed August 14, 2015. Ji., S., “7 Simple Ways to Unclog Your Arteries Naturally,” GreenMedInfo.com, June 23, 2014; http://www.greenmedinfo.com/blog/7-simple-ways-unclog-your-arteries-naturally.